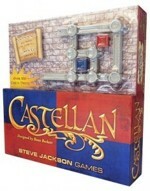 Much of the fun of Castellan is in its theme of castle-building, and the blocks alone are enough to enjoy the medieval style. There is a distinct portion of the rules set aside to explain chivalry, a relic of a more civilized age. Players must be worthy of the title "noble" and should not "take advantage of trivial errors." Another player who sees a forgotten or unclaimed piece must point it out to his opponent as justice dictates. This is a far cry from other games, where taking every advantage possible is only rational. 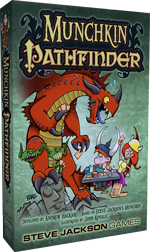 Also, here's GeekDad's review of Munchkin Pathfinder! Also also, check out this German review of Castellan on Brettspiele Report! And finally, Board Game Tavern has a great comparison article that puts Zombie Dice up against Tasty Minstrel's Martian Dice!